Place raspberries and basil in cocktail shaker and lightly muddle together. 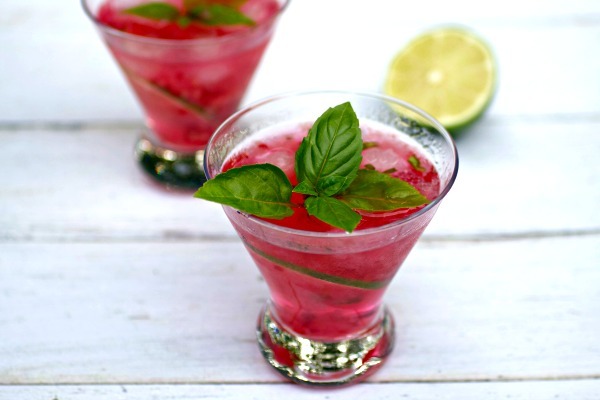 Add gin, sparkling water or club soda, fresh lime juice, and ice to shaker and shake for 3 seconds. Pour mixed drink in a glass. Garnish with additional limes slices and fresh basil leaves. 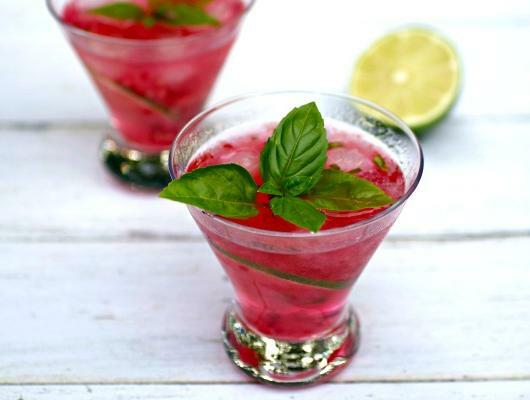 Can strain drink into glass with ice to remove raspberry seeds and basil, if desired. A tasty and refreshing gin cocktail bursting with so much flavor from all the natural and fresh ingredients.